How to Play Great Pool – my new book! Home / How to Play Great Pool – my new book! 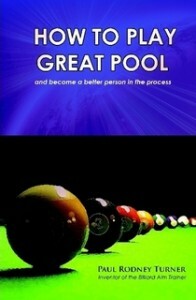 I just completed a new book called, HOW TO PLAY GREAT POOL – and become a better person in the process. Join me on a journey to championship level billiards and self discovery as I reveal essential ingredients to winning pool and becoming a better person. For those unaware, in 2006 I invented the Billiard Aim Trainer which is now considered the number one aim trainer on the market. The new book is available in Hardcover, Softcover and as an eBook.